UVIMCO provides investment management services to the University of Virginia (“the University”), independent foundations and other entities affiliated with the University operating in support of its mission. As of September 2017, UVIMCO manages $8.6 billion of endowment and other long-term assets within a unitized Long Term Pool, and $277 million of cash in a Short Term Pool. UVIMCO is organized as a separate 501(c)(3) Virginia non-stock corporation. Additional information about UVIMCO can be found on UVIMCO’s website at www.uvimco.org. UVIMCO is governed by an independent Board of Directors currently consisting of 11 members. Three of the directors are appointed by the University’s Board of Visitors, one is appointed by the University’s President and the balance are selected by the UVIMCO Board. Biographical sketches of Board members are available on UVIMCO’s website. The Board of Directors approves investment policy, ratifies investment decisions made by staff and reviews performance measured against passive benchmarks and peer institutions. Daily investment management is delegated to UVIMCO's full-time staff. The Board oversees and approves the incentive compensation plan as well as senior staff compensation. The Board is very constructively engaged with UVIMCO staff. As of September 2017, UVIMCO employs 35 full-time staff members. The investment team includes the Chief Executive Officer/Chief Investment Officer (CEO/CIO) position, five managing directors, one director and several associates and analysts. This is a high-performing group with a strong culture of teamwork and a commitment to diversity and inclusion. The operations and risk teams are supervised by the Chief Operating Officer (COO). UVIMCO also employs a General Counsel who is responsible for legal and compliance matters as well as operational due diligence. Biographical sketches of staff members are available on UVIMCO’s website. The University of Virginia is distinctive among institutions of higher education. Founded by Thomas Jefferson in 1819, the University sustains the ideal of developing, through education, leaders who are well-prepared to help shape the future of the nation. The University is public, while nourished by the strong support of its alumni. It is also selective; its students have been chosen because they show the exceptional promise Jefferson envisioned. In the past five years, the University has benefited from average annual gifts of $350 million. This year marks the beginning of a multi-year celebration of the University’s 200 years of excellence and an exploration for how UVA will serve as a defining public institution for the century ahead. The Bicentennial Celebration will lead up to our Third Century Capital Campaign. This multi-billion-dollar campaign will further strengthen our ability to provide transformative educational opportunities, conduct meaningful research, and serve the commonwealth, nation, and the world. The University’s endowment ranks among the five largest endowments of public institutions and among the 30 largest of all colleges and universities in the nation. Equally important, the endowment per student has consistently ranked among the largest in the nation for a public university. 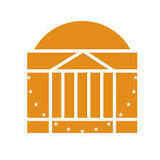 The University of Virginia endowment, managed by UVIMCO, is the University's source of sustainable private support for instruction, service and research. UVIMCO has one of the highest levels of investment performance of any public or private educational institution in the country, achieving a long-term rate of return that compares favorably with benchmarks and peer institutions. UVIMCO’s Long Term Pool is currently allocated across the following asset categories: public equity, long/short equity, private equity (venture and non-venture), real estate, resources, absolute return and credit, and government bonds and cash. The CEO/CIO of UVIMCO is a senior member of the University community who reports to the Board of UVIMCO. As the chief executive of the organization, he or she is accountable for the leadership, administrative oversight and, together with the UVIMCO Board, the investment performance of the Long Term Pool. The CEO/CIO and his or her staff formulate and recommend overall investment policy and asset allocation for the Board’s consideration, input and approval. Once agreed on, it is the CEO/CIO’s responsibility to ensure the UVIMCO staff implements and manages the Pool’s assets in accordance with this policy and allocation and to guide a rigorous and disciplined investment process. The interface between the staff of UVIMCO and the Board is critical to the short- and long-term performance of the investment portfolios. Therefore, an important part of the CEO/CIO’s overall responsibility is to achieve a balanced and highly productive working relationship between UVIMCO’s staff and the Board — with the goal of achieving outstanding investment returns based on thorough and insightful analysis and understanding. Similarly, the CEO/CIO plays a critical role in representing UVIMCO to all external constituents, including investment managers, University and foundation leadership, donors, students and the general public. As such, the CEO/CIO must be able to develop and maintain excellent relationships. • Optimize investment performance of the University and foundations’ long-term assets consistent with the risk tolerance of the University. • Provide leadership for the UVIMCO organization; ensure that UVIMCO has in place a team of worldclass investment professionals and an effective organizational structure that support the identification of new investment opportunities and help generate consistently outstanding investment results. • Foster a collegial environment, in which great individuals come together with inquisitive minds and in respectful debate, with an unwavering passion to deliver greater long-term aggregate outcomes. • Formulate and recommend for Board approval an overall investment policy and asset allocation approach. Measure and properly manage market, liquidity and manager risk. • Continuously identify and rigorously evaluate new asset classes and/or investment approaches, incorporating these analyses and conclusions into the overall investment policy and investment strategy. • Guide the process of investment across asset classes as well as the screening, selection, monitoring and termination of managers in order to comply with investment policy guidelines and exploit market opportunities. • Oversee the management of any internally administered investment funds — including the hiring/firing and supervision of any associated investment professionals. • Organize and lead Board meetings, prepare performance analytics and prepare appropriately synthesized written materials to productively engage Board members. • Proactively tap into the considerable investment expertise resident among UVIMCO’s Board members; incorporate these insights into investment policy development and implementation as he or she feels is appropriate. • Prepare written updates on Long Term Pool performance and investment strategy and present periodically to foundations and the University’s Board of Visitors. • Articulate, oversee and adapt as necessary a clear and consistent set of operating policies and compliance procedures for all aspects of UVIMCO’s activities. • Oversee all human resource and operational aspects of UVIMCO. The ideal candidate will be characterized more by the nature of his or her ability to think strategically and communicate effectively than by any background. The ideal candidate will have the skills needed to develop and maintain a successful long-term investment philosophy for UVIMCO, coupled with an ability to anticipate trends and exploit new opportunities as they arise. The candidate may come from any of several professional environments, if he or she has broad relevant experience with a demonstrated record of excellence. He or she will have a strong commitment to creating a productive environment based on mutual respect. • Superior communication and interpersonal skills and the ability to work closely with an experienced and dedicated Board of Directors. • Thoughtful, intellectually curious, passionate about investing, and supportive of UVIMCO’s core principles. Chief among our core principles is a long-term perspective in both portfolio decision-making and strategic thinking. • An investor who demonstrates constancy and consistency in thought, word, and action. Someone who is creative and forward-thinking as circumstances and market environments change, but who understands the pitfalls of behavioral finance and the value of consistency within an investment strategy. • A leader who demonstrates the ability to build on a strong corporate culture in which humility, integrity, initiative, intellectual curiosity, and teamwork are highly valued. A person who is collaborative, open-minded, listens well, and is able to assimilate different perspectives, but who is also decisive and unafraid to make tough decisions. • Self-confident — a polished presenter with the interpersonal presence needed to inspire others and engender confidence in UVIMCO. • Someone who leads by example and demonstrates a strong work ethic and commitment to the mission of UVIMCO and UVA. • An individual of unquestioned integrity, fairness and respect for others and one who consistently exhibits behaviors in his or her professional and personal life that would reflect favorably on the reputation of UVIMCO and the University. • Someone who understands the University of Virginia’s history and is committed to its ideals and culture of respect and honor. Recruitment will continue until an appointment is made. To ensure UVIMCO has access to the very best talent and experience, the Search Committee is partnering with Dore Partnership, a leading executive search firm with deep experience in investment management. Nominations, applications, and letters of interest should be submitted by email to UVIMCOcandidates@dorepartnership.com. UVIMCO is an Equal Opportunity/Affirmative Action Employer strongly committed to diversity. All information related to candidates, including their identity, will be held in the strictest confidence.